Did you know that every year the injuries sustained by domestic violence exceed automobile accidents, muggings, and cancer deaths combined! It is astounding the impact that this has! 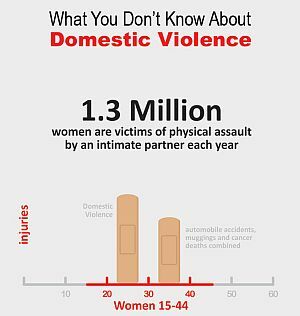 Cranford found this infographic that gave some staggering stats on domestic violence. After reading the statistics, take a look at the signs that domestic violence may be occurring in the lives of those close to you. If you are seeking shelter or resources for yourself, or a loved one, click this link to find a shelter near you. Alabama Coalition Against Domestic Violence. You are worth the fight!